Hello lovelies! I know New Year's or Thanksgiving is traditionally the time when you reflect and think about what you're thankful for, but I think Christmas time is also the perfect time for this. Many of us are surrounded by so much love, joy and generosity at this time of the year, it's hard not to feel a little warm and fuzzy on the inside. Anyway, I thought I'd share with you what I'm grateful for this Christmas. I don't do this to show how much I have, but to humble myself and honour those around me, I think we often forget to stop and say THANK YOU! I also think that positivity isn't shared enough, we tend to take the little things for granted and forget to appreciate them. I love my family so much and I love that they are people who I can talk with. They are people that tell me if I'm being an idiot, or if I'm wrong, they will tell me when I've done good and they will always encourage me. They help me be a better version of my self and to be more patient. I couldn't of gone to England for six months if it weren't for their support and their encouragement to be brave. I love the way they love each other, their friends and the community, it's inspiring to watch and I do my best to follow their lead. My whole family works so hard, much harder than I, and it constantly humbles me and makes me realise how resiliant they all are. So to my family, you know who you are, I just want to say thank you. Thank you for teaching me how to be an adequate adult. I have a lot of friends that I don't get to see very often. Some are in England pouring pints, some are in Melbourne studying and some are in New Zealand for love and work. I then have a few friends that I get to see all the time, but regardless of where they are, these people are still my friends and I love that we were able to remain so, even through the distance. All my friends are quite different to each other, but all of them challenge me (and each other) to grow, be better and to chase our dreams. They are all people I want to know for my whole life and I love that distance doesn't matter. They are all so funny, kind, strong and intelligent, and I can't thank them enough for being my friend, and being in my life, even when I'm being moody or irritating. Love you all to the moon and back! 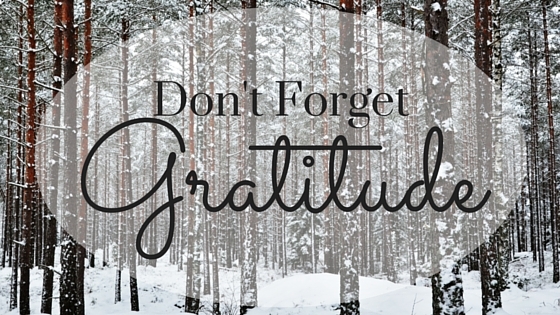 I am thankful for the generosity of other people and that I have the resources to be generous. I love the generosity that comes at christmas time and how it can come in so many shapes and forms. It can be by giving a gift to a someone, or donating gifts/money. It can be donating your time to helping others, or it can just be by doing something kind for someone. I love that generosity comes from the heart and isn't exclusive to people with money. Generosity isn't measured by the size of your gesture but by how much you give from your heart. It's a bit hard to measure, but it's the best way to. So to everyone who has given from their heart this christmas, I want to say thank you, your kindness makes the world a better place. I think that grace is something that is massively under appreciated. If you think about it, if there was no grace there would be no forgiveness. Grace is something that people don't deserve, but is given anyway. Often people talk about how life is unfair, but if life was fair then people wouldn't be gracious and forgiving. So I'm thankful for God sending down his only son, Jesus, so that he could die and we could be forgiven for all bad things we do. I'm thankful that through the grace of Jesus I can have an eternal life in heaven after I die, even though I don't deserve it. Thank you. I am grateful that this holiday exists and that the reasoning behind it is still alive today. I'm grateful that the story of Jesus spread and is still real. I love everything that christmas represents, from the birth of Jesus that brought hope, to the time spent with friends and family and to the generosity and sense of community that's spread throughout this time. I am thankful that so many people celebrate christmas and that it is so universal in its philosophy of love. I am thankful for the christmas movies, the food I get to enjoy and the presents that have been so thoughtfully given to me. Thank you Christmas for existing. Also thank you to anyone who read this post, I know it's kinda long and even if you just skimmed through it, thank you for sorta reading haha. Please please please let me know what your thankful for, it makes me feel so warm and fuzzy seeing other people being positive! Hope you're enjoying December so far, only eight days to go!